We can not blame GitHub owners for selling to Microsoft. It is not abnormal to hope money, although such moral is questionable. It is Bad News That Microsoft Acquired GitHub at $7.5 Billion. Bad News as Microsoft Known as Unsafe Company For Data Theft, GitHub Has Too Many Official Repositories. GitHub unfortunately became social network of the developers. Although Gitlab (Free Software) is now and there is SourceForge, BitBucket for code hosting, the incidence of acquisition added big headache. We came to knew by a pop up this while regular GitHub repo checking. It seems that the original news is 22 hours old when we knew. The reaction is not quite cold for obvious reasons, mostly as Microsoft’s main product and rules around that product is not great. Although some news sites are talking around Altair of Dr. Ed Roberts – Bill Gates and Paul Allen co-founded Microsoft to give the hobbyists a way to program on new micro-computer kit named MITS Altair. That is no way assuring for the Libre Software & Hardware community. The acquisition can mean a lot for Microsoft. They already acquired LinkedIn for job searching, now the part for developer collaboration. With the combination Microsoft owns two of the most influential professional networks. GitHub was great for letting the whole earth know about some software development or sharing gists. Unfortunately, after Microsoft’s acquisition, GitHub can not be taken so lightly from the point of data privacy and data security. Most of the technology blogs, developers, Libre Software, Libre Hardware projects used Github and promoted as it was free of cost and there was no warning from Free Software Foundation (read Richard Stallman). Microsoft has been investing in open source (not free software or libre software) technologies, although historically Microsoft considered GNU/Linux a cancer. Microsoft also got way to track software push of other companies, including IBM, HP like giants. How To Use GitHub Now? BitBucket seems to be practical to us for code hosting. 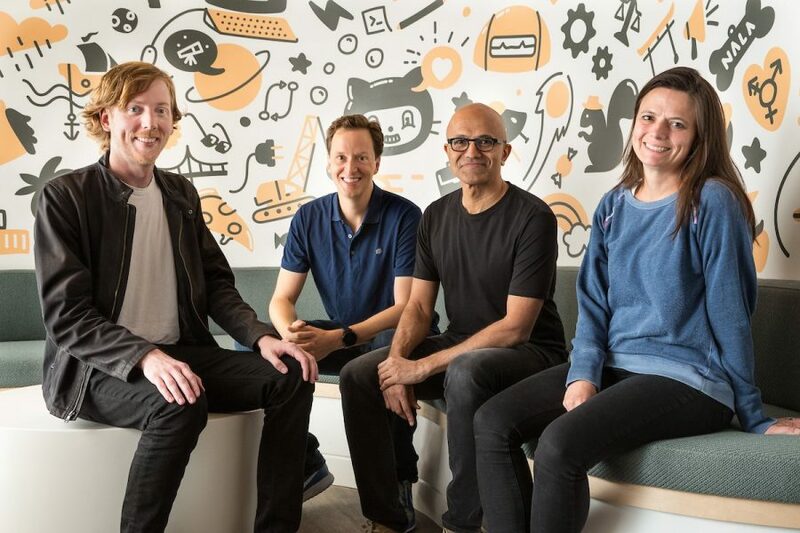 Cite this article as: Abhishek Ghosh, "Bad News : Microsoft Acquired GitHub at $7.5 Billion," in The Customize Windows, June 4, 2018, April 21, 2019, https://thecustomizewindows.com/2018/06/bad-news-microsoft-acquired-github-at-7-5-billion/.